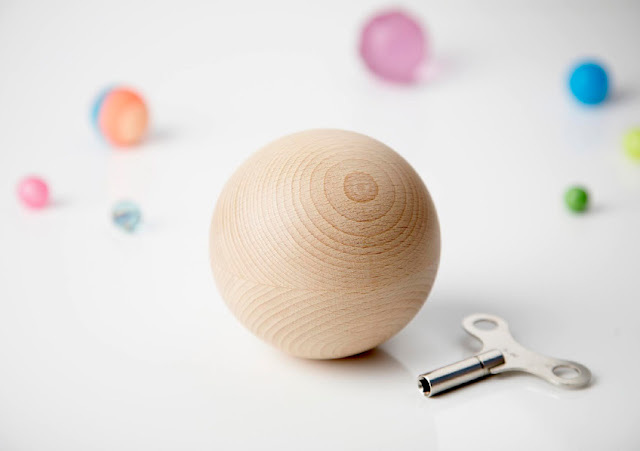 Hidden inside this perfectly made, solid wooden ball is a mechanism that produces one of Mozart’s sweet melodies. Insert the elegantly shaped key, turn it and the chime will magically play whether the ball is rolling across the floor or standing on a table as an ornament. This splendid sphere will be the perfect, unique gift for the newborn that has everything.